Hang on to summer with CaliMojos! These are color changing flip flops. Their straps change color immediately upon exposure to UV rays. Wear one look indoors, and instantly don a new one outdoors. Indoors, the rhinestone-adorned sandal straps are opaque and understated, but step outside and the straps intensify with bold, gorgeous color. Take a walk on the wild side in any one of four vibrant color options: orange, blue, pink or white. They are also available in either a floral, tropical design or butterfly pattern. I chose the pink sandals with a palm pattern. They are perfect for pool flip flops. Check them out if it is still warm where you live, or get some for spring break! Either way, you'll be ready to sport your CaliMojos by next summer. 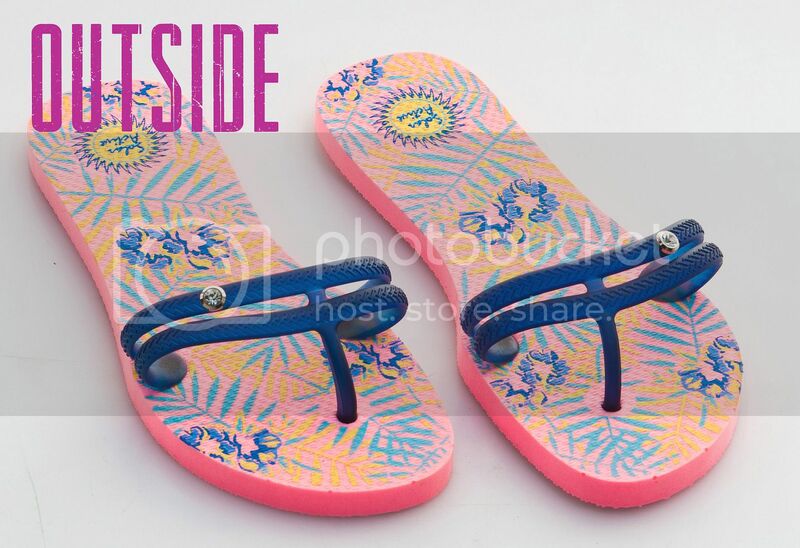 Connect :: Visit Solar Active to learn more about the Colors in Motion Flip Flops that change colors in the sunlight with SolarActive Technology. You will also find SolarActive on Facebook and Twitter. Buy It :: You can purchase CaliMojos for $24.95.